1. Every action must be a response from the love of Jesus within us that controls us. 2. In Christ we have died to the old self-centered life—If Christ is King then He must reign. 3. Life in Christ is lived to please Christ. There is no explanation that can be attributed to life lived at such a level, except that God is in the midst of the person living it. Anyone can travel the first mile in their own strength, they simply do what any other good person would do. The second mile is altogether different; you demonstrate more than good character, you demonstrate the character of Jesus. The world sees you on the first mile; they see Jesus on the second mile. 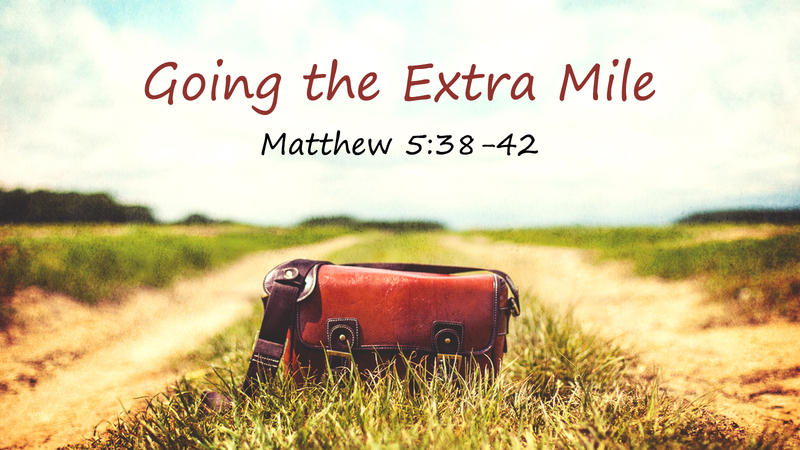 Walking the second mile demonstrates the heart of Christ in us. The second mile journey is more about the heart and less about activity. Walking the second mile demonstrates the driving force of our living. Second mile travelers do so because they recognize that Jesus went the second mile for them. Jesus is a second mile God. Any good person can choose to travel the first mile, but the second mile requires the pouring out of the love of Christ in our lives. The second mile expresses our thankfulness to Him. When we experience Jesus on the second mile, we experience his second mile grace, his second mile love, and his second mile compassion.